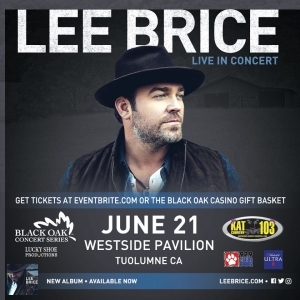 Lee Brice is coming to the Westside Pavilion at Black Oak Casino! See him live in concert Friday, June 21 at the Westside Pavilion. Tickets on sale Friday, March 29.